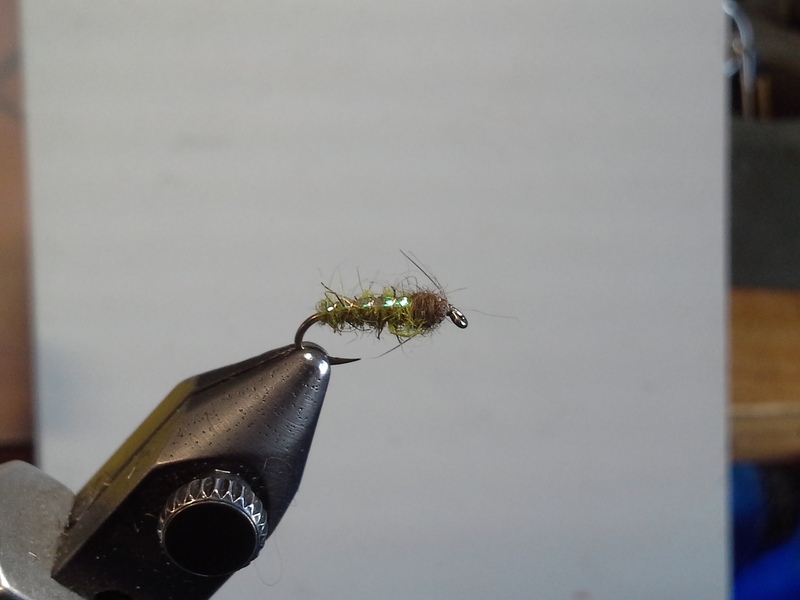 This month’s fly is the Electric Caddis nymph. It was created by Mike Lawson of the Henry’s Fork area of Idaho. I first saw the pattern in an issue of Fly Tyer magazine, tied some up and fished it. It is a very effective pattern in early summer when the rivers are full of free floating green caddis worms. I tie it in sizes 16 - 20.